VANCOUVER – Reaching the Olympic or Paralympic podium is an incredibly challenging feat requiring exceptional performance in both physical and mental aspects. To address the importance of cognitive performance in sport, B2ten, WinSport and Canadian Sport Institute Pacific have partnered together to develop the next generation of performance level mental training specialists to work with national teams across Canada. In the area of mental training, current demand for professional services far exceeds the supply. Through this new partnership, up and coming mental training specialists will be mentored by well-respected professionals with established careers. Canadian Sport Institute Pacific and WinSport have respectively selected Dr. Kirsten Barnes and Dr. Penny Werthner as the lead mentors for the program. Each brings significant knowledge, applied experience and leadership to the program. Dr. Barnes is a two-time Olympic gold medallist and World Champion in the sport of rowing who holds a PhD in sport psychology from the University of Bristol, England. 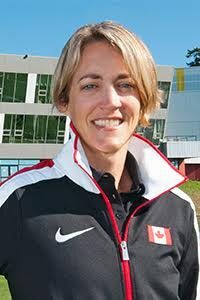 She is currently the lead Mental Performance consultant for Canadian Sport Institute Pacific. Dr. Penny Werthner is an Olympian in athletics who holds a MA and PhD from the University of Ottawa. She is currently the Dean of Kinesiology at the University of Calgary. Both women are veterans of numerous Olympic Games as mental performance consultants to national teams. Through collaboration, B2ten, WinSport and Canadian Sport Institute Pacific aim to create a systematic approach to the professional development of up and coming mental training specialists. This initiative, created and funded by B2ten, will see mentors working with protégés as they assist Canadian national teams in both summer and winter sport. Mentors will observe the protégés in their workplaces and consult with them at various times throughout the year. The plan is to have the protégés hired full time by WinSport and Canadian Sport Institute Pacific upon the successful completion of the mentorship project in 2015.